This is an interesting UK early-1970s 'super group' that doesn't seem to have attracted a great deal of attention during it's brief existence and today is all but unknown. Singer Aliki Ashman had previously worked and recorded with Ginger Baker's Air Force and The Graham Bond Organization, providing backing vocals for a number of their late 1960s albums. In 1971 she decided to step out on her own, hooking up with singer/bassist Harry Reynolds. Expanding the line up to include former Heavy Metal Kids drummer Keith Boyce, ex-Picadilly Line multi-instrumentalist Rod Edwards, and ex-Fleetwood Mac guitarist Bob Weston the group attracted the attention of Polydor Records which signed them to a contract. Recorded in London's A.I.R. Studios with John Miller producing 1972's "Stop Off" wasn't anything like I expected. Backed by singer Madeline Bell, guitarist Mickey Keen and others, my expectations were to hear something along the lines of a shrill blues-rock set. Instead tracks like 'Come Right In', 'Country Man', 'They're Only Gonna Take My Life' and 'My Father's Side' came off as a UK version of Delaney and Bonnie. That comparison might sound strange, but it was apt with the group showing a true penchant for the same mixture of blues, gospel, soul, and rock influences Delaney and Bonnie excelled at. 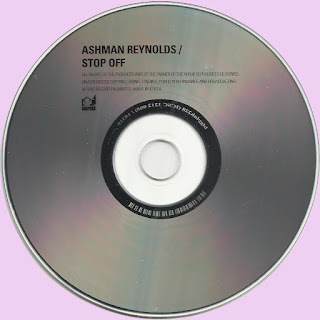 Ashman and Reynolds shared vocal duties, though Reynolds was in the spotlight far more often. While he may have had the stronger voice (hard to believe he was English), Ashman made the most of her isolate solo spots - 'Work Out the Score' was a nice ballad with a haunting West Coast-styled guitar solo from Wilson, while the closer showcased her tougher edge, ending with a killer Wilson solo. Sound weird? Definitely, but in a good way. Once I got over my surprise I discovered the LP was full of charm and winning efforts. Hard to select a favorite track, but it might be the up tempo rocker 'Long Long Road'. Complete with a tasty Weston guitar solo the song would have made a dandy single. 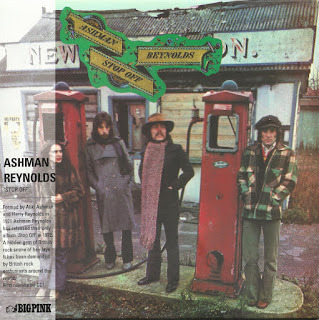 Equally impressive were the pretty ballad 'I Wish I Knew' (sporting some dazzling harmony vocals from Ashman and Reynolds). The band survived long enough to undertake a supporting tour for the LP, opening for Fleetwood Mac and Savoy Brown. That apparently did little for sales and within a couple of months Ashman, Boyce, Edwards, Reynolds, and Weston were supporting Long John Baldry. 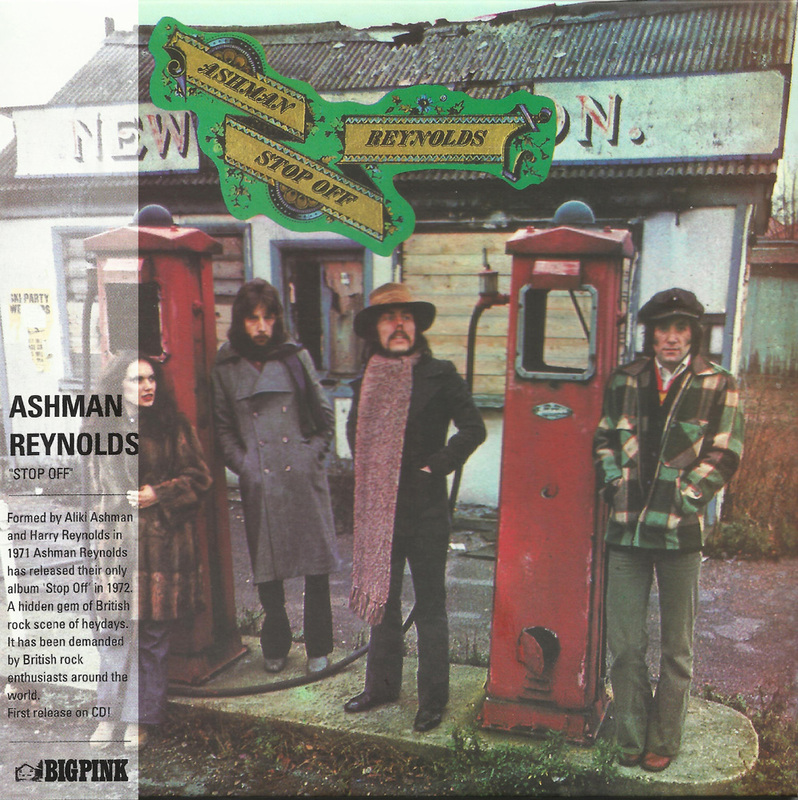 Ashman and Reynolds seem to have continued their partnership through the mid-1970s, though they don't seem to have recorded anything else. On her own Ashman reappeared as a member of the band Casablanca who recorded a 1974 LP for Elton John's Rocket label, only to see it shelved. The album "The Lost Funk" was finally released in 2003 by the Second Sight Films Ltd Label, she also recorded an obscure 1976 single with Arthur Brown - 'Ooh, It Takes Two To Tango' b/w 'Rocking the Boat' (Electric Record Co catalog number WOT7).